Can't open the .pdf files? Get Adobe Acrobat Reader or try Open Office for free. 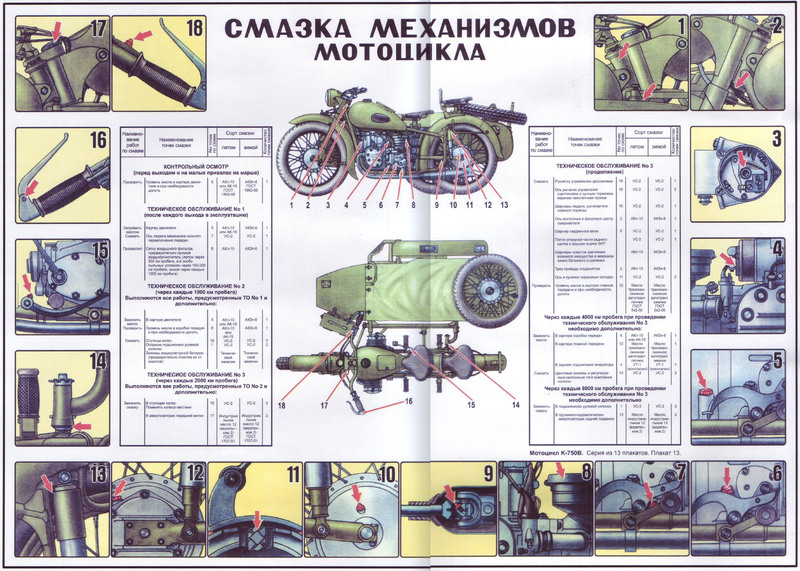 We are attempting to create a comprehensive library of documents and technical information, provided as a resource for persons interested in Russian motorcycles. All documents, videos and other files listed here retain the copyrights of their individual owners and are for personal, non-commercial use only. This library is being updated regularly: if you would like to submit a relative document for inclusion please contact me. Personal thanks out to JD at bCozz and John van Ierland for their work in scanning many of these documents. 2000 Ural Repair Manual Maintenance and repair of all U.S. specification URAL motorcycles. K-750 Lubrication Chart Lubrication points illustration for use with table below.